The Freedom Ride began in Johannesburg in February 2014. We have now had six rides. 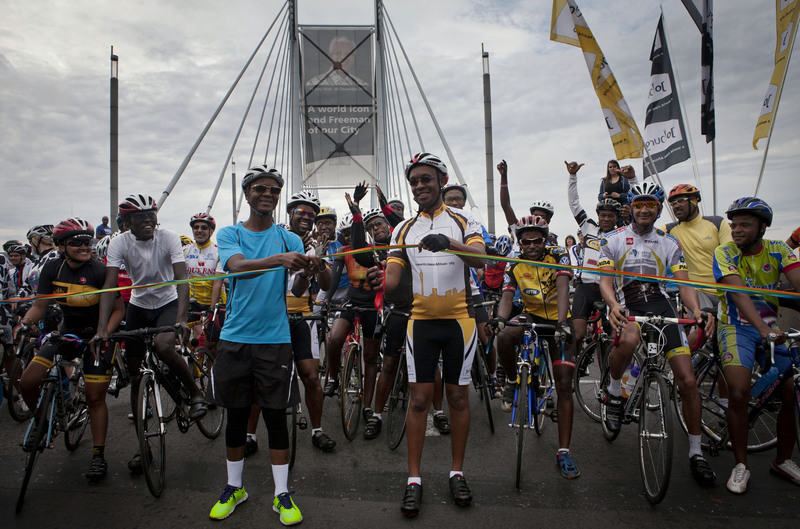 This initiative was brought to life by cycling activists in partnership with the City of Johannesburg. The concept of the ride is to get the people of Johannesburg onto bicycles and riding the streets of the city. The ride is a social event bringing together people of different economic and social classes. It aims to be a celebration of Nelson Mandela’s legacy; to break through the social barriers and connect both people and places. The Freedom Ride connects communities across Johannesburg, taking the riders from city centres passed historically important landmarks and into disadvantaged areas. The first hand exploring of the social diversity is enlivened by the ride’s route through rich cultural and historical areas. It is a truly free experience. Unlike other events, the Freedom Ride is free for all and does not require riders to register. The event is sponsored by the City of Johannesburg and other stakeholders, such as Hollard and Qhubeka who wish to share in the effort. Amongst its many objectives, the ride also promotes the use of bicycles as a daily mode of transport and highlights cycling routes within the city; routes with implemented cycle lanes and those which are planned for the future of cycling development. Our aim is to encourage all South African cities to take on this initiative and promote cycling as a way of transport, connecting communities, and creating greener, unified cities for all.